We are a highly motivated team, focused on ensuring that every engagement meets the needs of your organization, your employees, managers, and leaders. We are passionate about financial intelligence, as each one of us believes in the core value of financial literacy — that everyone in an organization should understand how financial success is measured and how they make an impact. Joe Knight is a highly regarded finance and business literacy keynote speaker, trainer, and published author. 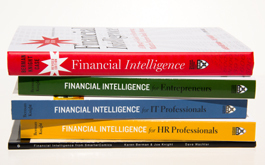 Joe is coauthor of the Financial Intelligence series published by Harvard Business Review. He has also been a guest on Bob Brinker’s Money Talk show on KABC radio and CNBC’s Morning Call program. As CFO of Setpoint Companies, he spearheaded the financial education of engineers in this automation and roller coaster company. Under his leadership, Setpoint became an Inc. 500 company and was featured in Inc. magazine and A Stake in the Outcome. Joe’s background also includes finance at Ford Motor Company, Bell & Howell, and Arrow Dynamics. Joe received a bachelor’s degree in economics from Brigham Young University and an MBA from University of California, Berkeley. Brad’s background includes management consultant with Ernst & Young, director at Franklin Covey, and CEO, COO and CFO of several small companies, making him the perfect fit for BLI, as he helps our clients develop financial intelligence programs that meet their needs. He is coauthor of The Fourth Dimension: The Next Level of Personal and Organizational Achievement (John Wiley & Sons, 1996) and of Project Management for Profit (Harvard Business School Press 2012). Kara Ausere joined the Business Literacy Institute while working with Joe Knight at Setpoint Companies. She keeps the office running and provides support with marketing, presentations, trainer support materials, and training manuals. Kara brings experience in editing, writing, organizational as well as website and search engine optimization experience. Kara is a graduate of the University of Utah with a bachelors of science degree in business management. First as a client and now as a team member, Stephanie Wexler provides valuable insight and perspective for BLI. As a client, Stephanie was the Corporate Training Manager for a multi-national manufacturer, MacDermid, Inc. After hearing BLI’s founder, Karen Berman, speak at a conference, she immediately hired BLI to train at an upcoming sales meeting. It was a huge success, and MacDermid, Inc. has continued to hire Business Literacy Institute for many training projects over the years. At BLI, Stephanie handles a variety of functions, including marketing and branding BLI as an organization, development of online training services, and coordination of client sessions and keynotes. Prior to BLI and MacDermid, Inc., she managed fundraising efforts and programs for the University of Hartford, where she received her bachelor’s in business administration. Karen Berman was a sought-after expert in the fields of business and financial literacy. Clients praised her ability to understand their business and develop meaningful and engaging programs. Prior to founding the Business Literacy Institute, Karen was a consultant and held various management positions in the banking, investment, healthcare, and graphic arts industries. Karen wrote and spoke nationally about business literacy. She coauthored Financial Intelligence (Harvard Business Review), a smart, no-nonsense business finance handbook for managers. 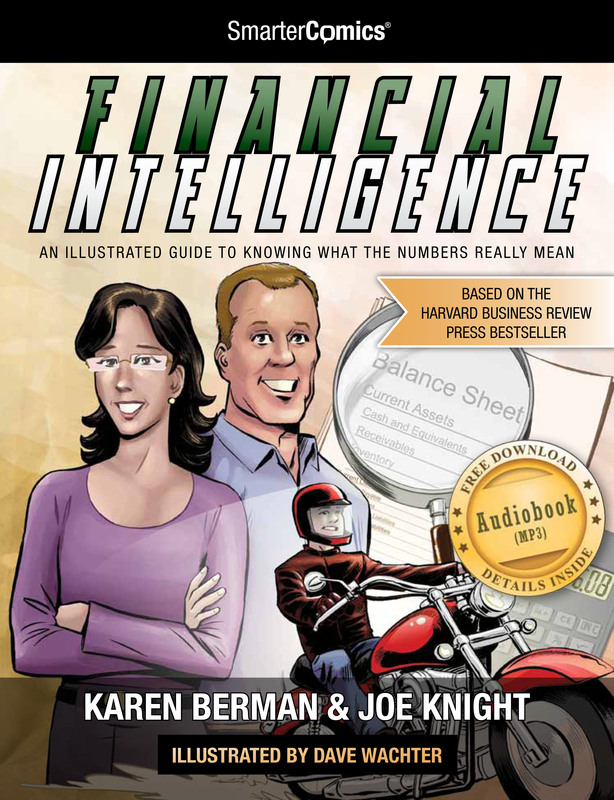 As a result of the success of the Financial Intelligence book, Karen coauthored the Financial Intelligence series of books and a comic book under the same title. Karen received a master’s and doctorate in organizational psychology from the California School of Professional Psychology and a bachelor’s of science degree in managerial economics with a minor in psychology from the University of California at Davis. And now our book has been transformed into a comic book!